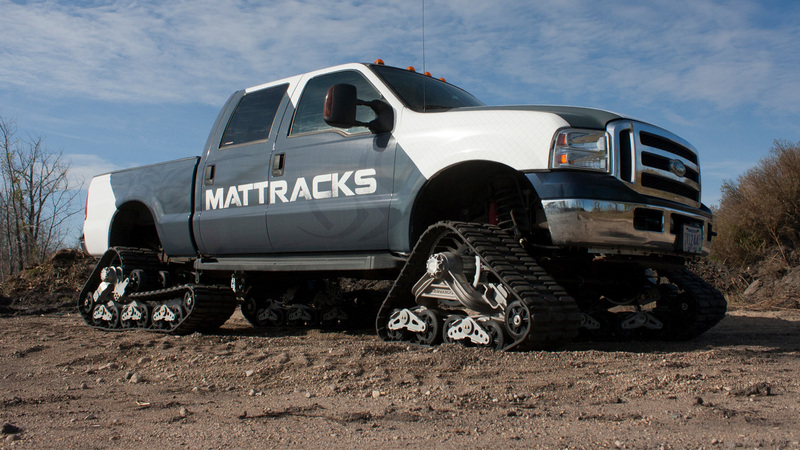 Mattracks has been converting 4×4 Trucks, SUVs, Tractors, ATVs & UTVs for the past 20 plus years. When customers requested an even “larger footprint” than is available in the market today for certain applications, Mattracks’ engineers developed the new MT Plus™, adding to the already extensive Mattracks model lineup. The new MT Plus has more “track” on the ground, which will provide greater performance in deep snow or soft soil conditions. With a 21” longer footprint on hard surface and 33” more in soft soil conditions compared to the standard 105/150 series; the rear track on the MT Plus provides unbelievable floatation in deep snow, sand, mud, swamps or any challenging terrain. Its self cleaning system allows the snow, sand, rocks, or any other debris to be ejected from the inside of the track. Coupled with the tread pattern and built in suspension the traction is outstanding, while providing more than 50% greater footprint compared to the standard 105/150 series. The Plus system will fit most ½ ton pickups and large SUVs.